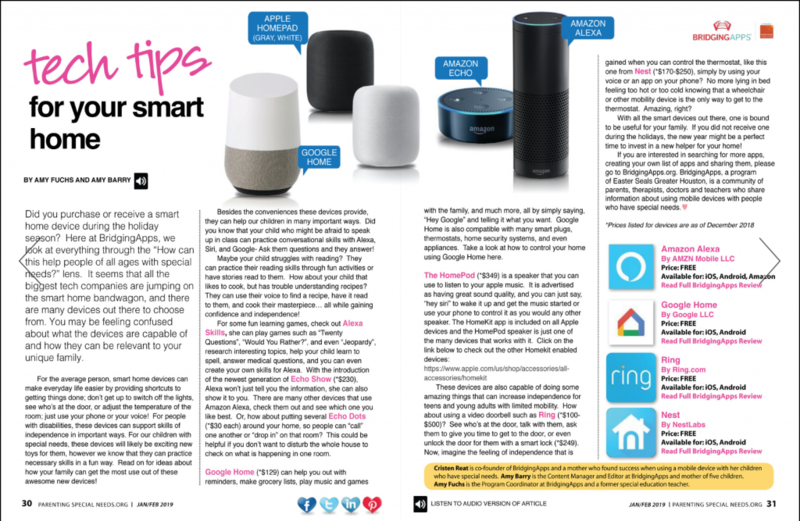 Did you purchase or receive a smart home device during the holiday season? Here at BridgingApps, we look at everything through the “How can this help people of all ages with special needs?” lens. It seems that all the biggest tech companies are jumping on the smart home bandwagon, and there are many devices out there to choose from. You may be feeling confused about what the devices are capable of and how they can be relevant to your unique family.